Monday marked the beginning of this year’s Boston Red Sox Rookie Development Program, which consists of 10 players and is designed to ease their transition into the majors. Outfielders Mookie Betts, Rusney Castillo and Henry Ramos; catcher Blake Swihart; infielder Sean Coyle, left-handed pitchers Eduardo Rodriguez, Brian Johnson and Edwin Escobar; and right-handed pitchers Heath Hembree and Zeke Spruill are the participants who will participate in activities that include workouts, meetings with front office executives and seminars about adapting to the life of a professional athlete in Boston. The debate persists about whether or not the Red Sox should pursue a proven ace for their rotation, so the question remains if any of the aforementioned names will be dealt before spring training. 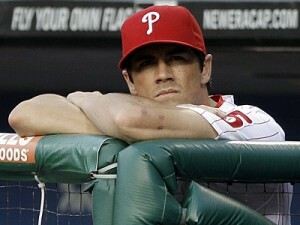 Betts, who is projected to open the 2015 campaign as Boston’s starting right fielder; and Swihart, who is highly regarded behind the plate and as a switch-hitter, and is slated to begin the season at Triple-A Pawtucket, are among the prospects that the Philadelphia Phillies desire in a potential deal for left-hander Cole Hamels. According to Peter Gammons, the Phillies want one or the other to make the trade happen, and the Red Sox are not willing to remit. Nor should they. Like Xander Bogaerts, who struggled during his rookie season in 2014 but has tremendous upside as a right-handed power hitter, Betts is 22 and represents the type of bat who can impact the Red Sox lineup for the long term. Though the Red Sox have 24-year-old Christian Vazquez poised to serve as Boston’s Opening Day catcher this year – and he is already regarded as one of the best defensive catchers in baseball – the 22-year-old Swihart has a high ceiling at the plate and possesses the athleticism to move to first base. The 31-year-old Hamels has demonstrated that he is a reliable No. 1 starter, and he has a contract that is palatable to Red Sox owners in terms of length and annual salary ($23.5 million a year through 2018 and a $20 million team option, a $24 million vesting option or a $6 million buyout for 2019). Yet the potential results he would likely add for at least the next two to three seasons is not worth surrendering the rare high upside that Betts and Swihart offer. Though the Red Sox plummeted to the American League East cellar last year, they expect to be a formidable World Series contender in 2015 because of a potent lineup, a respectable yet unspectacular rotation and the depth of a myriad of Major League ready and near Major League ready prospects at Pawtucket. If Opening Day was tomorrow, chances are manager John Farrell would scribble the name of Clay Buchholz or Rick Porcello on the lineup card as the starting pitcher. Buchholz has demonstrated that he can perform like one of the best starters in the majors at times, and he has also struggled with bouts of inconsistency. Porcello, who was acquired from Detroit in the Yoenis Cespedes deal, is just 26 and authored a breakout season in 2014 when he was 15-13 with a 3.43 ERA, a 1.23 WHIP and three complete game shutouts over a career-high 204.2 innings. He has the arsenal of pitches to emerge as a frontline arm. Boston also added veteran Justin Masterson, who is reportedly recovered from injuries that led to a forgettable 2014 campaign with Cleveland and St. Louis. Like Buchholz, who has a $13 million team option or a $245,000 buyout looming next offseason, Masterson has ample incentive to perform at a high level in 2015. The sinkerballer, who turns 30 in March, inked a one-year deal with the Red Sox to re-establish his value in his quest for a long-term contract. The right-hander was 14-10 with a 3.45 ERA in his All-Star 2013 season with the Indians. He can serve as a frontline starter when healthy. Left-hander Wade Miley, who would have been a possible No. 1 starter with the Diamondbacks this year had he remained in Arizona; and 26-year-old righty Joe Kelly, who scuffled after he was brought in from St. Louis at last July’s trade deadline but posted a 2.69 ERA in 37 appearances (including 15 starts) for the Cardinals in 2013, appear to have their best seasons ahead of them. Though none of the projected members of Boston’s 2015 starting rotation is a proven ace like Hamels or Jon Lester, the group has the ability to record solid numbers and quality innings while a lineup that will pair newcomers Hanley Ramirez and Pablo Sandoval with veterans like Dustin Pedroia, David Ortiz and Mike Napoli along with Betts, Bogaerts, Vazquez and Rusney Castillo generates run production that could lead the majors. Red Sox general manager Ben Cherington covets his club’s top young names, and understandably so because of their upside and the knowledge that they can provide cost-effective production for several seasons. If any of the rotation members struggles or lands on the disabled list, Boston can call Pawtucket and summon Rodriguez, Johnson or fellow left-hander Henry Owens; or right-handers Anthony Ranaudo and Matt Barnes. If those five pitchers compose the Pawtucket rotation to open the 2015 season, the Paw Sox will boast one of the best group of starting pitchers in recent minor league history based on each prospect’s ranking. The Red Sox can win the AL East and play deep into October with the current rotation and the Triple-A depth. 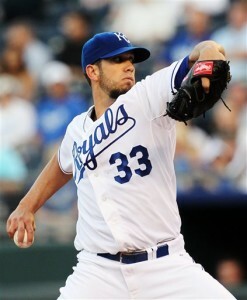 Signing free agent James Shields would be a strong decision, as long as he would be willing to accept a three-year deal at an inflated salary (perhaps $25 million). Giving four or five years to a 33-year-old veteran who has logged eight consecutive seasons of more than 200 innings is a move that Cherington is not likely to make. Since John Henry and company were not willing to give Lester the $160-plus million that the Chicago Cubs doled out, it would be shocking if they opened the vault for Max Scherzer, whose new contract is certain to eclipse what Lester received. Cincinnati’s Johnny Cueto and Washington’s Jordan Zimmermann are other possible trade targets, but either can be signed as a free agent next offseason. Sacrificing a draft pick instead of a plethora of prospects is probably more appealing to the Red Sox. 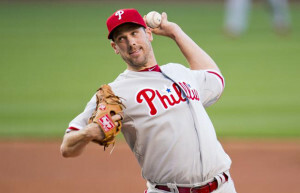 Perhaps, if Cherington wants to add another starter who has a frontline veteran presence, he could pry another left-hander from the Phillies in 36-year-old Cliff Lee. After his 2014 season ended with a sore left elbow, Lee is reportedly recovered from that ailment and is expected to be ready for spring training. Lee is owed $25 million in 2015 and has a $27.5 million option for 2016 that vests with 200 innings in 2015. If Lee could be plucked from the Phillies for a package that includes second baseman Coyle (a Philadelphia native) and a top pitcher like Barnes, Ranaudo or Johnson – and the Red Sox pay a bulk of his remaining contract – maybe a transaction could get done. Then the Red Sox could move the hard-throwing Kelly to a relief role. Adding Lee would provide a seasoned veteran atop the rotation for 2015 without surrendering a potential ace of the near future (like Henry Owens, who is another prospect the Phillies would require to complete a deal for Hamels). 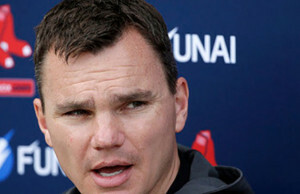 It is uncertain whether Cherington will add another starting pitcher, but multiple media reports show that he is seeking to bolster the bullpen with a live arm that can compile strikeouts. Rehabbing free agent Alexi Ogando is a possibility. The club could also fill that need by dealing one of the excess outfielders. Shane Victorino, Daniel Nava and Allen Craig are candidates to wear another uniform by spring training or Opening Day.